Melrose has a large network of dedicated mountain bike trails and is also within easy riding distance of the trails at Bartagunyah Estate. 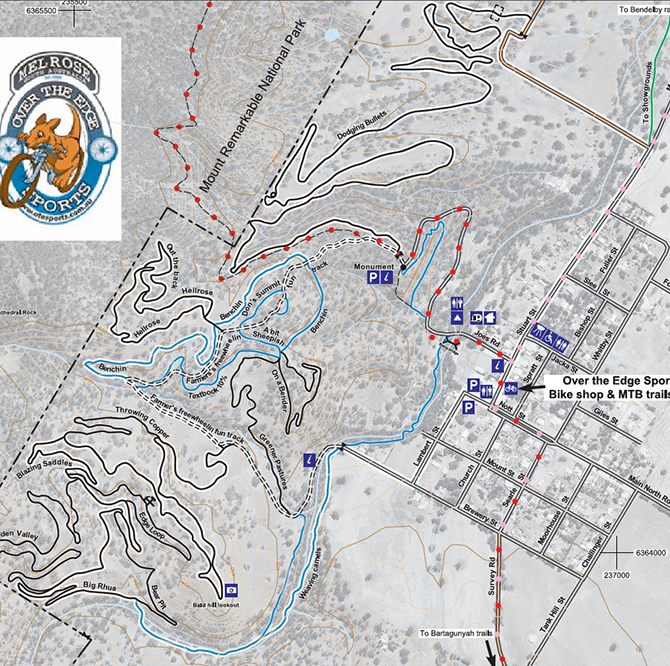 Interactive map: Melrose MTB trails Interactive Map. Over The Edge Sports is a great bike shop in Melrose that will give all the info you need on MTB’ing in the area. Most days there are shop rides you can join to be guided around the great local trails. Melrose is the home of the Fat Tyre Festival. 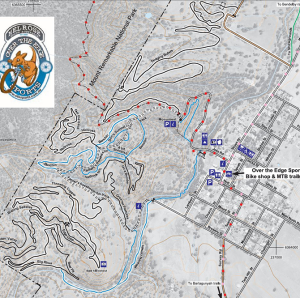 These trails are the result of collaboration between the Office for Recreation and Sport, Bicycle SA, Southern Flinders Ranges Development Board and Greening Australia. The goodwill of Don & Margaret McCallum, and Rob and Christine Smart and their family cannot be understated. Without their hospitality these trails would not exist. Please use this area respectfully. Video: A Day in the Life of Melrose, South Australia.